This year I decided at the last moment to have an entirely pescatarian January. 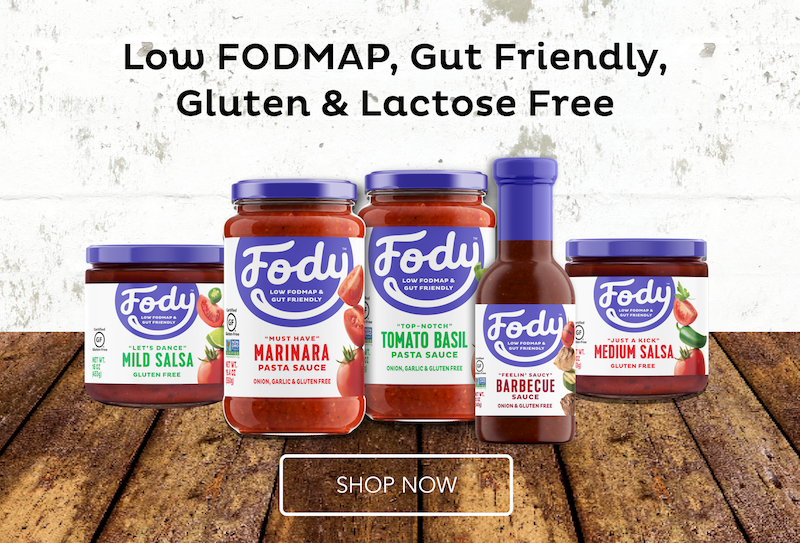 I didn’t particularly do it to follow a fad, but purely to see how easy it would be to follow while low FODMAP, and most importantly, to add more variety to my diet. I had considered veganuary, but I had to be realistic! If I could eat what I liked, I could happily be vegetarian or vegan as I love vegetables, but unfortunately they don’t all quite feel the same about me! When I was younger I actually spent around 10 years following a pescatarian diet, so it was pretty easy for me to follow it again for a month. There are many reasons for wanting to reduce my meat consumption. The cruelty to animals in many farming methods, the environmental impact, and purely because I don’t always enjoy meat! However it is important to eat meat from time to time so that I’m not restricted even further, particularly when eating out… But of course each to their own! 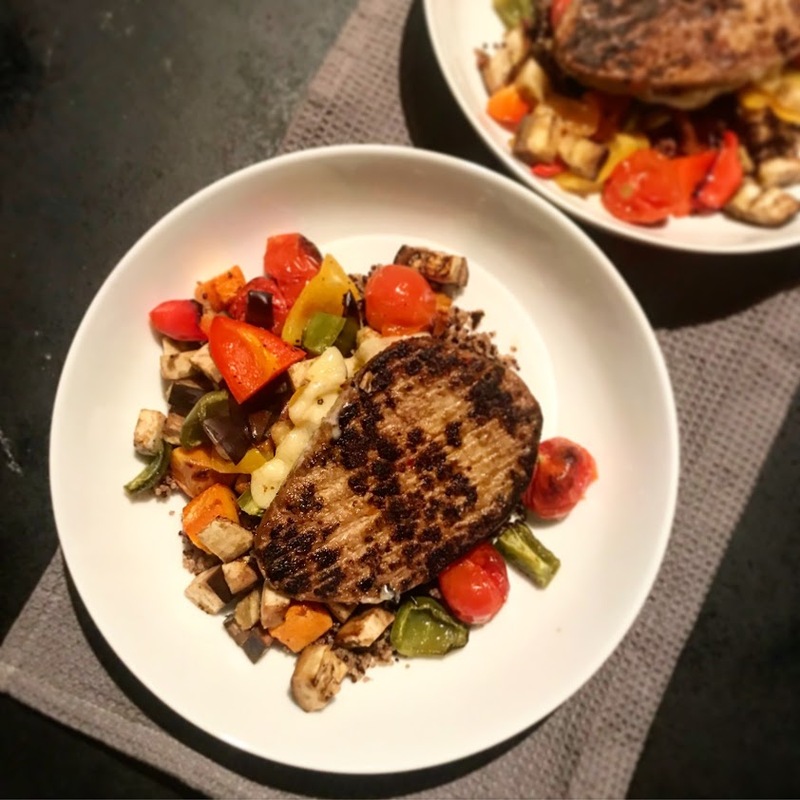 I’ve had many requests to share many of the pescatarian or even vegetarian meals I enjoyed over the last month, and so I’ve shared my highlights below. I’ve linked recipes where they are available on my blog too so you can easily recreate them. I started the month with a meal at Pizza Express. 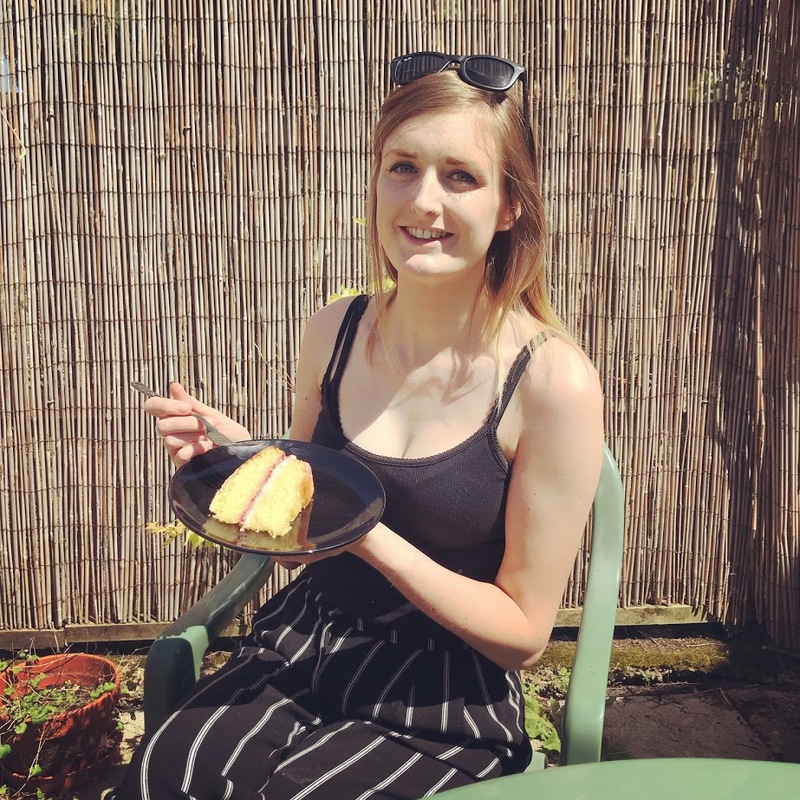 I’ve previously written a post about my experiences there as they are so brilliant with allergies and intolerances, and for once it’s quite easy to avoid gluten, onion and garlic. You can read more about my experiences with Pizza Express here. 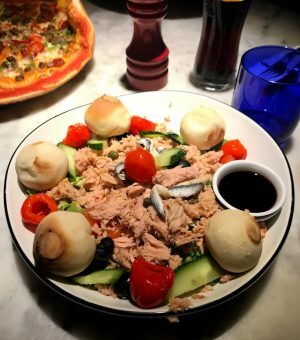 With regards to pescatarian options, I love their tuna nicoise salad and I enjoyed this with some of their gluten free doughballs. Although on this occasion they ran out of egg so I had some additional peppadew peppers instead. Yum. 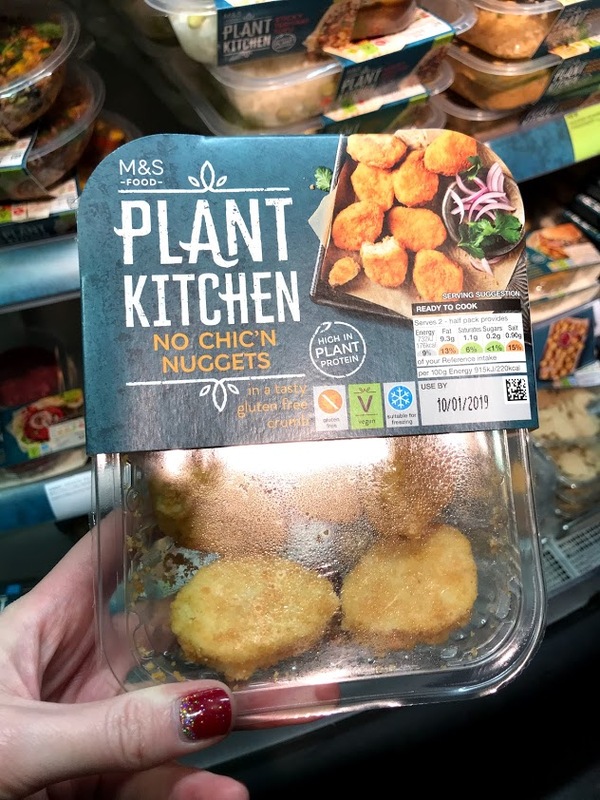 In response to veganuary, new products have started to pop up all over the place, including the Plant Kitchen: No Chic’n Nuggets in Marks and Spencer, which incredibly are also gluten free. 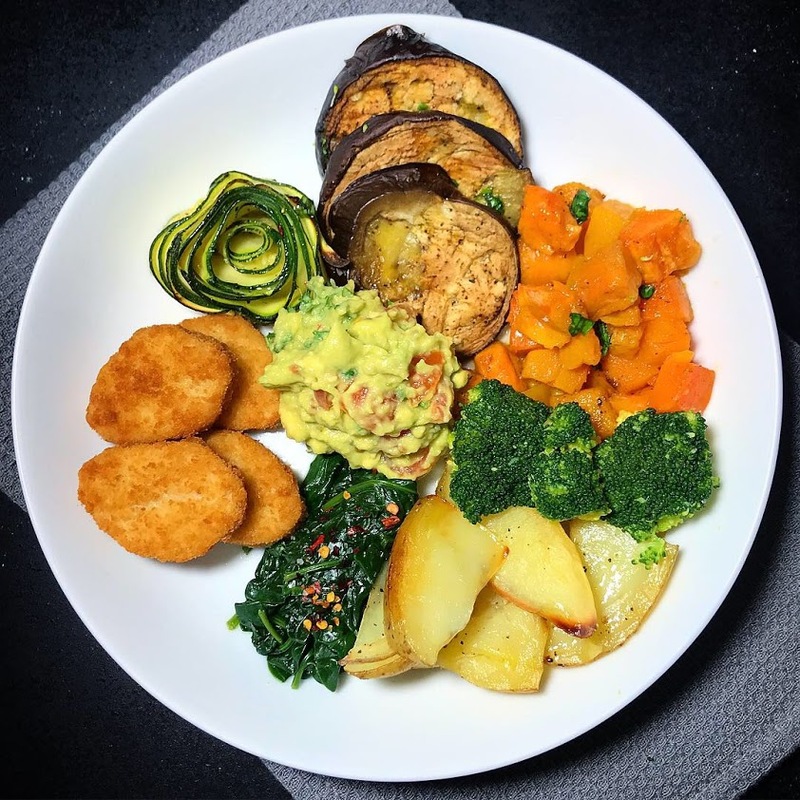 I used these to create a vegan bowl of goodies: sweet potato, butternut squash, courgette spirals, avocado, aubergine, spinach, broccoli and homemade potato wedges in small low FODMAP portions. I loved this bowl, but it was quite a lot of effort to make on a regular basis. I think I went for too many elements! 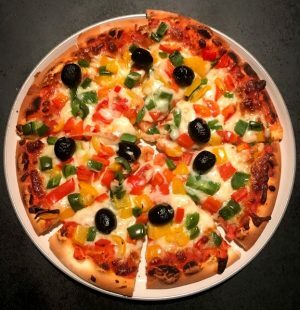 Next up was a delicious vegetarian pizza topped with mixed peppers and olives. While I do love a bit of pepperoni, I will definitely be having veggie pizzas more often as this was loooovely. I used the Schar lactose-free margherita as a base on this occasion. 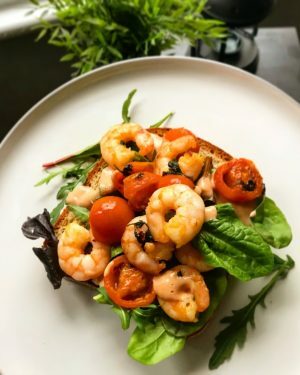 If you’re struggling for lunch ideas, I’m often using tins of tuna for rolls or if I’m at home, I make open sandwiches, like the prawn version featured below. I fried the prawns and cherry tomatoes in garlic-infused oil, chilli flakes and basil, then served on a bed of lettuce with a slice of gluten free toast. One of my discoveries this month was adding anchovies to the pan to create a stock. This formed the basis of the spaghetti puttanesca below which I just added passata and mixed olives to. Slightly saltier food than I’m used to, but very tasty! 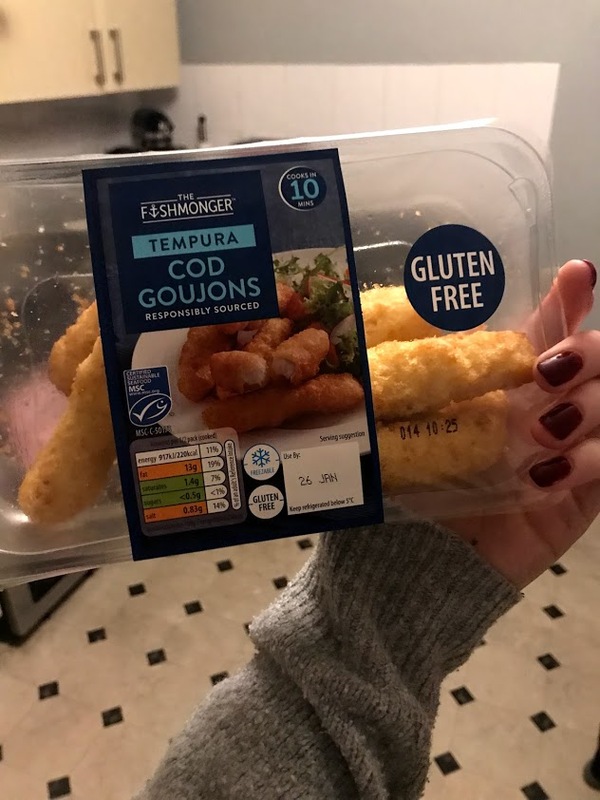 This month I found these cod goujons in Aldi, which made the perfect fish finger sandwich, served in a Schar ciabatta roll… It was amazing! Served with a little tartare sauce (I’ve found a onion/garlic free version in Sainsbury’s but it does contain barley). 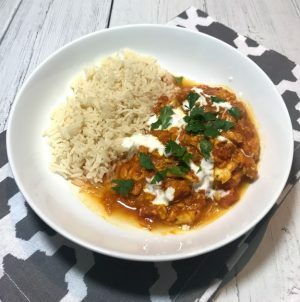 I couldn’t survive the month without a tasty curry, so here is my low FODMAP cod version, using frozen fillets from Sainsbury’s. It was really cheap to make, and I just swapped the chicken from my chicken and spinach balti for fish! 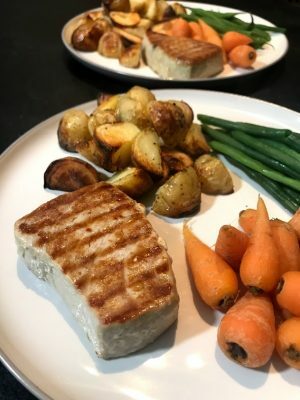 On one night, I treated us to some tuna steaks… And it was definitely worth it. They’re expensive, but delicious, especially when cooked on a griddle pan. I picked one up in the sale after Christmas and it cooked them perfectly. It wouldn’t be right if I didn’t mention this pescatarian feast! 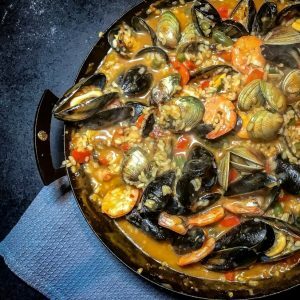 My low FODMAP, gluten and dairy free Seafood Paella. 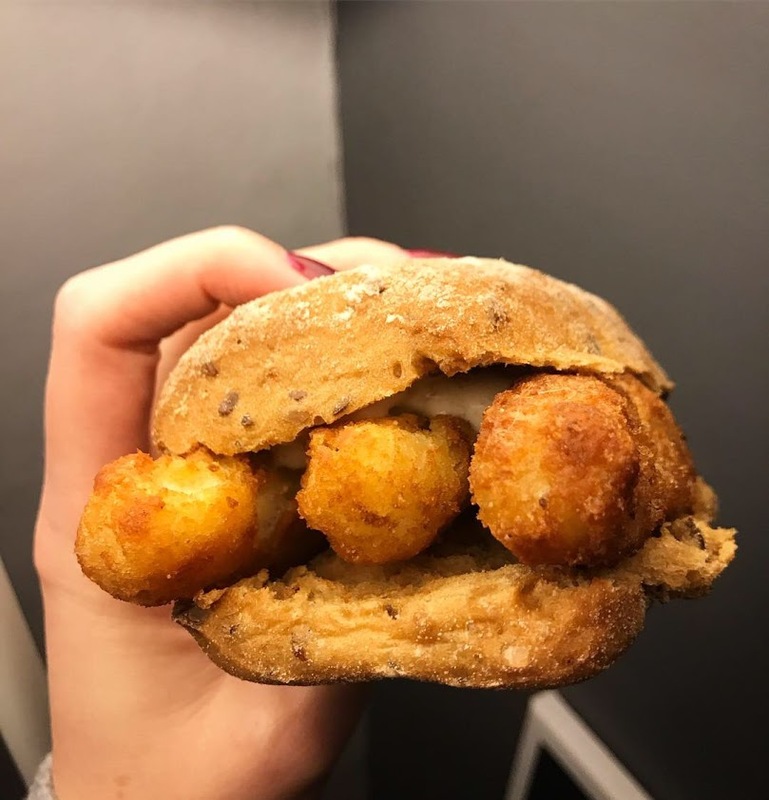 Make sure you check out the recipe and of course let me know if you give it a try! Of course, not every meal in pescatanuary (I’m going to make that a thing!) contained meat, and I enjoyed a number of scrumptious vegetarian meals too. 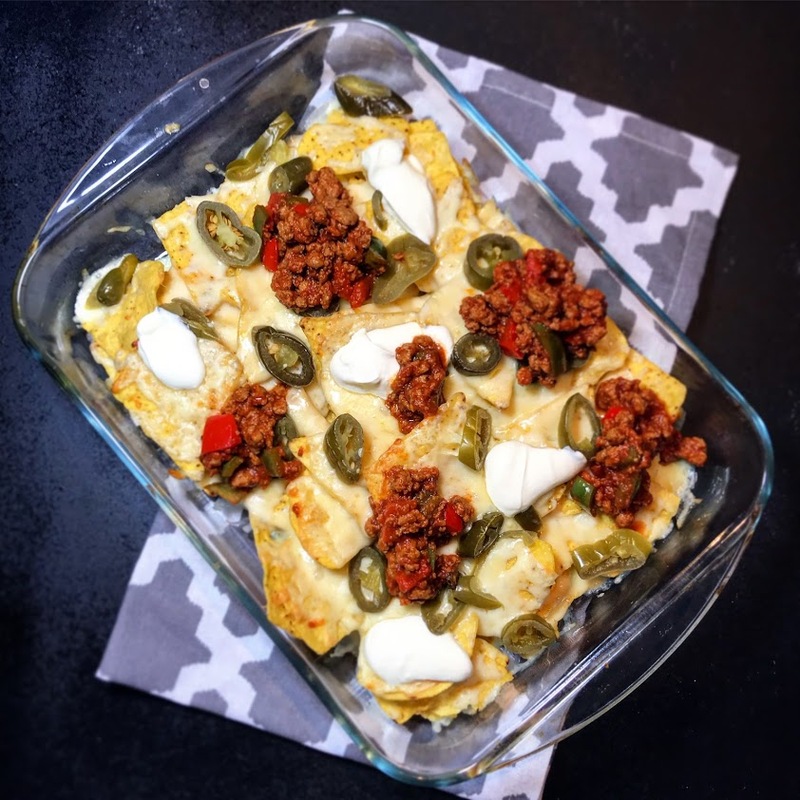 From the Quorn peppered steaks, to homemade nachos (using this vegetarian chilli recipe) to my tomato and red pepper soup or vegan aubergine curry. 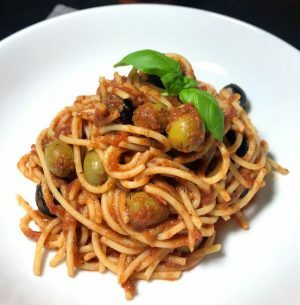 If you’ve enjoyed this post, you may wish to check out some of my other low FODMAP pescatarian recipes including Seafood Risotto, Crab Spaghetti, Salmon Fish Cakes, King Prawn Curry, Fish Pie and Salmon & Prawn Spaghetti. 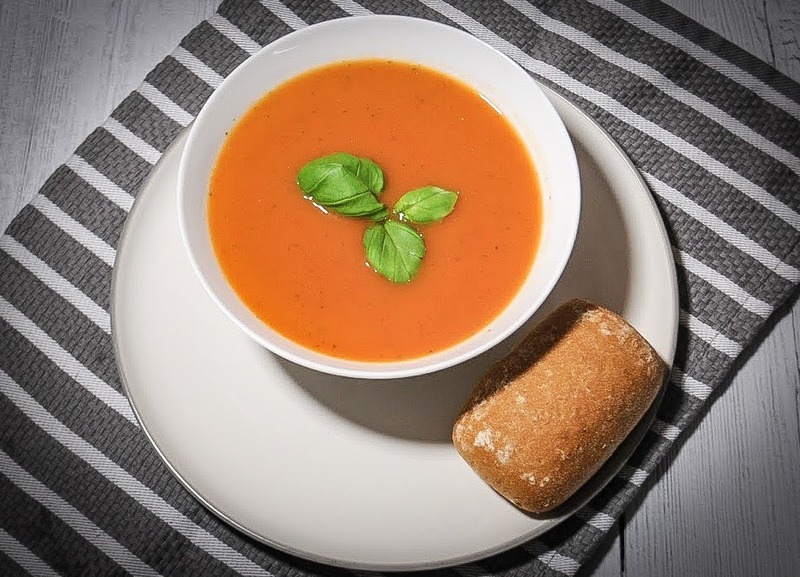 If you prefer to avoid meat/fish entirely, why not take a look at my vegetarian recipes such as Aubergine Parmigiana, Roasted Vegetable Lasagne, Crispy Vegetable Cakes, Quorn ‘Meat’ Lasagne, Lentil Dhal, Macaroni Cheese and Squash, Spinach & Goat’s Cheese Pie. 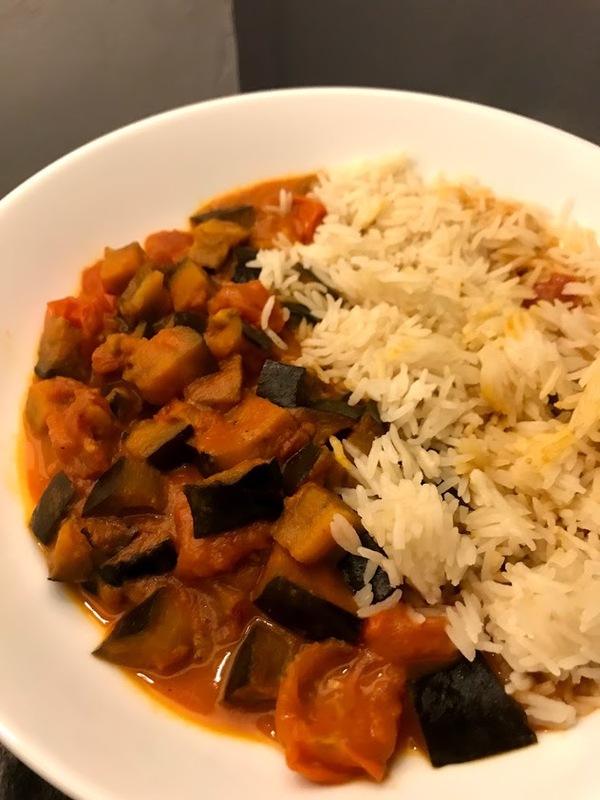 Thanks for reading this post, if you try any of my recipes do let me know over on Instagram. I love seeing how they turn out. It should be ‘enter your compliment here’. Lovely ideas.